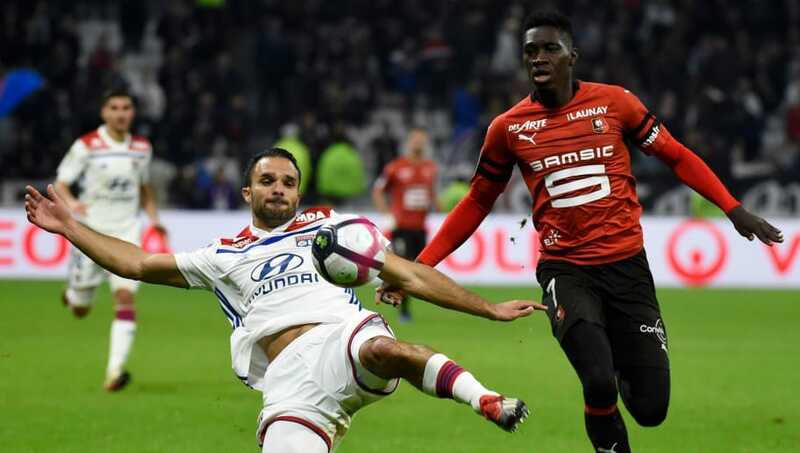 ​Arsenal have put together a €16m offer to Stade Rennais for winger Ismaila Sarr, which would also include Emiliano Martinez moving to the Ligue 1 side as part of an exchange. Unai Emery is widely reported to be on the lookout for attacking reinforcements in the January transfer window to cover the loss of Danny Welbeck to a long-term injury. As reported by ​Wiwsport.com, the Gunners have most their first move to bolster their attacking ranks with a bid for Senegalese winger Ismaila Sarr. It is said that the opening offer is valued at €16m, with ​Arsenal’s third choice goalkeeper Martinez also part of the deal. The Argentine shot-stopper is third choice at the club, behind more established names Bernd Leno and Petr Cech in the pecking order under Emery, and the 26-year-old has apparently been thrown into the mix to sweeten the deal. Welbeck’s setback has left ​Pierre-Emerick Aubameyang and ​Alexandre Lacazette as Arsenal’s only senior striking options, with youngster Eddie Nketiah seemingly not deemed to be ready for senior action by Emery. It is said that there is a possibility that Sarr could depart his current club in January, with the 20-year-old in the midst of a fine season which has seen him score eight goals and provide six assists in his 23 outings this term. Eight of those goal involvements have come in his last seven games. Emery is apparently a big fan of the wide attacker, who would provide similar versatility across the front line to that which Welbeck had offered as a valued utility player prior to his injury. With Welbeck out of contract at the end of the season and seemingly unlikely to be offered fresh terms, Arsenal will seemingly be in need of a long-term replacement for the England forward beyond his injury layoff. Given Sarr’s youthful promise and his strong goal-scoring form, the Senegal international appears to be a prime candidate to reinforce the Gunners’ attack. However, it is said to be unclear at this stage as to whether Stade Rennais would accept Arsenal’s opening offer.